Ali Baba Bunny is a Warner Brothers Looney Tunes short featuring Bugs Bunny and Daffy Duck, directed by Chuck Jones and released in 1957. In 1994 it was voted #35 of the 50 Greatest Cartoons of all time by members of the animation field. Clock Cleaners is a Mickey, Donald and Goofy cartoon released in 1937. In 1994 it was voted #27 of the 50 Greatest Cartoons of all time by members of the animation field. 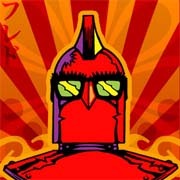 Frederator Studios has announced the launch of Frederator Films which will create 2D films budgeted under $20 million. The first film by Frederator Films will be a Samurai Jack movie, written and directed by series creator Genndy Tartakovsky. A second film in development is The Neverhood, based on the DreamWorks videogame. The clay-animated film will be written and direct by the game’s creator Doug TenNapel. The third movie is a hip-hop themed called The Seven Deadly Sins, featuring the voice of boxing promoter Don King. 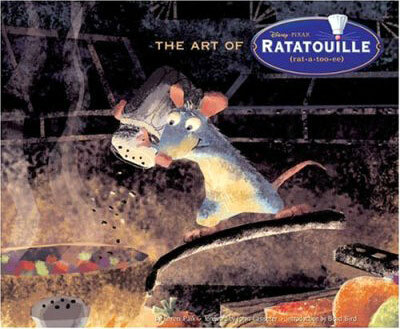 JimHillMedia has very nice feature up that highlights some early Ratatouille art that is featured in the book, “The Art of Ratatouille”. “It is one of the more intriguing aspects of the production history of Pixar’s latest, “Ratatouille.” The fact that this animated feature started off with one director, Jan Pinkava, and then wound up being completed by yet another director, Brad Bird. So why exactly did that happen? 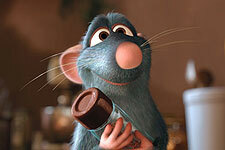 More importantly, what would Jan Pinkava’s version of “Ratatouille” have been like?” Find out by clicking here. Rooty Toot Toot is a 1952 UPA animated short film, directed by John Hubley. In 1994 it was voted #41 of the 50 Greatest Cartoons of all time by members of the animation field. It received a nomination for the Academy Award for Animated Short Film in 1951, but lost out to the Tom and Jerry cartoon The Two Mouseketeers. ComingSoon.net: You weren’t involved with this project from the beginning. When did you come on board? Brad Bird: It started with Jan Pinkava who won the Oscar for a short called “Geri’s Game” and he was working on it when I first came up to Pixar in 2000 to do “The Incredibles” and was developing it through the whole time I was making “The Incredibles.” As part of Pixar’s sort of story group, we look at each other’s work during the times that films are being developed to give each other fresh eyes. So I was aware of the film and participated in the development of the film from that sort of perspective the whole time it was being made. But, a little over a year and a half ago, everyone loved the film, they loved the idea of the film, they loved the world and the collection of character types. But, the story was not coming together the way they wanted it to. To read the full interview, which I highly recommend, head on over to ComingSoon. The Skeleton Dance is a 1929 Silly Symphonies cartoon produced and directed by Walt Disney and animated by Ub Iwerks. In the film, a group of skeletons dance and make music around a spooky graveyard. It was voted #18 of the 50 Greatest Cartoons of all time by members of the animation field. Sit back and enjoy Little Red Riding Rabbit, a 1944 Warner Brothers Merrie Melodies cartoon, directed by Friz Freleng, and starring Bugs Bunny. This cartoon was voted number 39 of the 50 Greatest Cartoons of all time by members of the animation field. 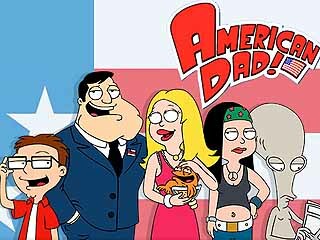 20th Century Fox Television has signed American Dad writer/producer Nahnatchka Khan to a two-year seven-figure deal that will make her co-exec producer of American Dad along with having the chance to develop other projects for the studio. Khan, a graduate of USC’s film school, has previously worked at Walt Disney Television Animation and on series such as Malcolm in the Middle and Good Morning, Miami. Aardman Animations’ SHAUN THE SHEEP has found an American distributor in the Disney Channel. The show is set to premiere on Sunday, July 8, 2007, in primetime. SHAUN THE SHEEP, targeted at kids 5-10, follows the misadventures of a young sheep who leads his barnyard buddies into all sorts of situations. While the rest of the flock is content to spend all day relaxing, Shaun is out to have as much fun as possible — whether flying a kite, swimming or going to town for a pizza. 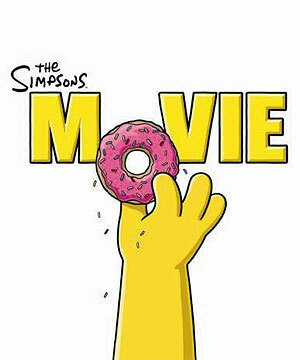 The final trailer for The Simpsons movie has hit the net and can be viewed exclusively at Yahoo! The trailer is available in standard definition along with 480p, 720p, and 1080p high definition. I can’t wait for this one to hit theaters. The trailers have been hilarious so far and the animation has been amazing! 100th post: A huge thanks to everyone! Wow, 100 posts. When I started The Animation Blog I had no idea it would reach 100 posts this quickly. Not bad for about 3.5 months and only one person running things here. I just wanted to say thank you from the bottom of my heart. I greatly appreciate each and every one of you who read the site. It started off slow, as with any site, and gradually grew. The site is still a long way from reaching its goal. I want The Animation Blog to be one of the best animation blogs on the net! With you help, this goal will be reached! 06/21/2007 | Miscellaneous | Comments Off on 100th post: A huge thanks to everyone!